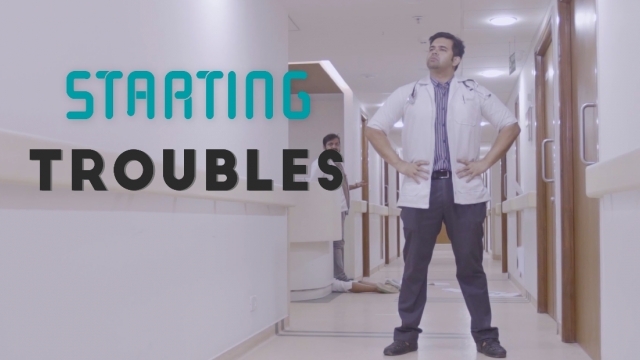 One of its kind medical humour, ‘Starting Troubles’ is a web-series written and conceptualized by stand-up comedian, author, full-time ENT surgeon and innovator, Jagdish Chaturvedi. He has successfully done over 200 shows in India and abroad, and has over a hundred thousand YouTube subscribers in his kitty. Jagdish Chaturvedi‘s Starting Troubles intends to destroy this myth that being successful calls for focusing your attention and energy on carrying out only one thing in life. He feels that this mindset has become a barrier for many in achieving their dreams while they work around their day jobs. 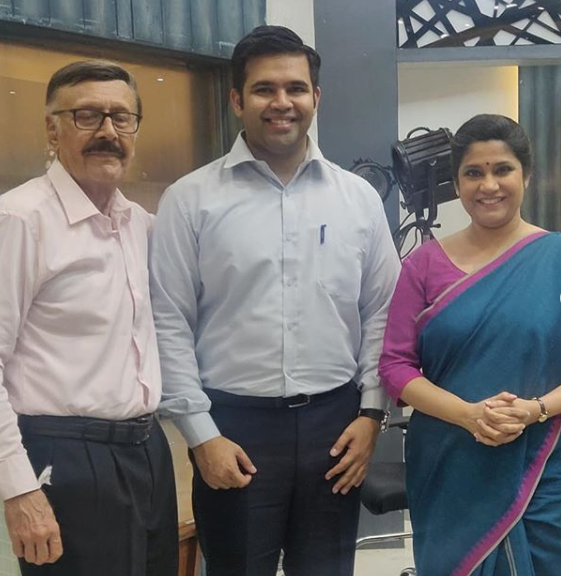 Jagdish’s jokes as well as this web series are inspired by real life incidences and are something that all of us can connect with. The fact that such wide audience relates to his trainload of jokes and anecdotes is what motivated him to create a web series that rounds up his journey of transitions into this multifaceted life. Herein, Jagdish makes an attempt to depict his journey through overlaps, how he juggled roles, amid not-so-well-though decisions leaving him perplexed. Given that this fun ride would have been tough to portray as multi-dimensional events during a comedy act, he decided to bring this to his viewers in a comedy web series format. Thank God for this! And of course, Thank Jagdish for this! Guised as humour and confusion, Starting Troubles means to convey a strong message of being persistent in pursuing whatever you want to do. There sure would be a few Starting Troubles, but the dust will settle down soon and you will come out a winner. The pilot episode was self-funded by Jagdish. After its release on YouTube, it was very well received. It cannot be denied that the team behind Starting Troubles is a perfect amalgamation of experience, talent, professionalism, and fun! The shoot went on for 9 long days, and the conceptualisation efforts of many more days came to fruition. The team completed the phenomenal task of producing 120+ minutes of content with their commitment and hard work. His team includes some of the renowned names of the acting fraternity. The core acting team comprises Parikshit Sahni, Renuka Shahane, Kurush Deboo, Rajesh PI, Jui Pawar, Bharat Chawla, Anushka Nair. Guest appearances from the super funny Rahul Subramanian, Sanjay Manaktala, Manish K Tyagi, Praveen Kumar, Mandar Bhide, Navin Noronha, Navin Noronha, Aditi Raval, Sonu Venu Gopal, Ratnakar Baggi, Ravi Kaushik, Gaurav Chaturvedi, Gunda Srinivas, Pooja Singh, Maulik Shah. Supporting Cast includes Neha Pathak, Ravi Namdeo, Moumi Guha, Ujjwala, Nikita Chaturvedi, Sree Hari, Jatin D Vakharia, G Bindu Rao, Vandita Verma, Anirudh, Vinay Kumar, Balaji, Nazz, Naren, Praveen. Film Production House: Ten Motion Pictures. Humour Sapiens cannot wait to watch the web series, which we are sure is going to be epic!